If money was no object, where would you live? Would you choose a cosy private villa complete with a garden, far away from the bustle of the city, or a swanky condo in an upscale township that offers facilities like a clubhouse and a swimming pool? Even if you fostered sensible ideas about what kind of home you can afford, being bombarded with ads featuring over-edited glamour shots of beautiful bedrooms overlooking the sea and lush gardens full of frolicking children will tempt you into desiring a home that is at least a little, if not well out of your budget. Everyone’s idea of a dream home may be different, but since money is an object for most, these aspirations should be toned down accordingly. However, most homebuyers end up stretching their finances when they take the plunge to turn their dream into a reality. But do you really need the bigger bedroom, attached terrace and Italian marble floors? 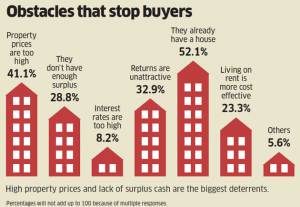 In trying to buy that perfect home, you might end up denting your finances beyond repair. Further, the costs involved go far beyond the sticker price of the house, and if you don’t factored in the additional expenses, you might be in for an unpleasant surprise. 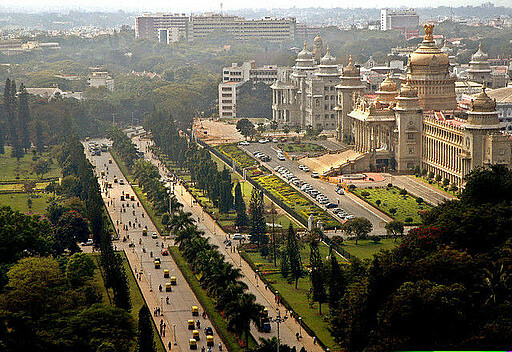 What can you afford in the top indian cities? The number of years you need to save for the down payment. We have assumed a savings rate of 25% of annual pre-tax income of Rs 8 lakh, and 10% expected return on savings. The values are calculated for a ready to occupy 1,000 sq. 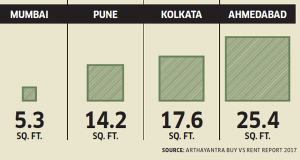 ft. home, based on Arthayantra’s analysis of average property price in the city. Buying the dream home can be a very expensive affair, yet homebuyers are not averse to stretching their savings to the limit to make it happen. Since banks do not lend more than 80-85% of the value of the property, at the outset, the buyer has to shell out a lump sum as down payment of the house. Most end up taking a large chunk out of their life savings to make this payment and secure the home loan. 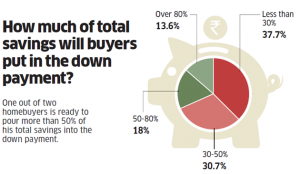 An ET Wealth survey found that one out of every three Indian homebuyer is sinking in more than 50% of his total savings into the down-payment itself. But it’s not enough to have the savings to cover the initial payment and manage the EMI outgo, since swankier homes come with a host of ancillary costs to budget for. 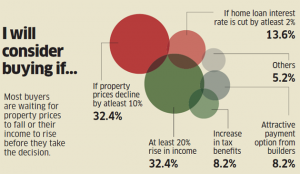 First, you will have to shell out a higher amount as property tax and home insurance premium. Second, upscale housing complexes that offer luxuries like a clubhouse, garden area and tennis court can demand Rs 8,000-10,000 as society maintenance charges. Third, a bigger home means you will end up spending more on the upkeep of the house, as utility bills and the cost of repairs will be higher. 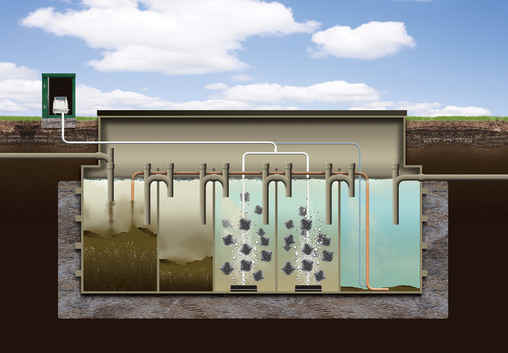 Fourth, a fancy new place is also likely to set the tone for a more expensive lifestyle for you and your family. Buying a house you can easily afford can make a huge difference to your financial life. 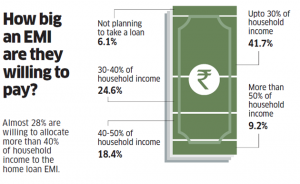 Suppose you stretch your budget and take a home loan of Rs 75 lakh for 20 years at 8.5% interest. Your EMIs will come to Rs 65,087, eating up Rs 81.2 lakh in interest payments over the lifetime of the loan. 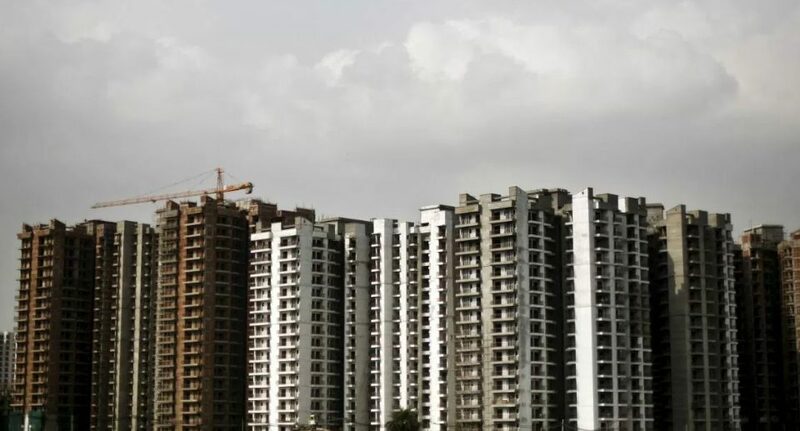 But if you opt for a smaller home instead, taking a housing loan of Rs 50 lakh housing loan to finance it, you will pay an EMI of Rs 43,391 per month, shelling out Rs 54.14 lakh in interest over the next 20 years. The monthly savings of Rs 22,000, if put into a diversified equity fund, can yield around Rs 49 lakh over the next 10 years at an expected return of 12%. Committing to a large EMI will leave you very little breathing space to contribute meaningfully towards other goals, or even to deal with situations like suffering an extended illness or being laid off, which can lead to an unexpected cash crunch. Living in the house of your dreams may not be worth it if you are forced to cut corners elsewhere, like having to shelve vacation plans or cancel movie nights for your kids. “For many, buying their own house is an important, once-in-a-lifetime decision, but remember that there is also a limited window for you to plan for other critical goals like retirement and children’s education,” warns Rustagi. Given the potential hit on their finances, homebuyers may have to be more pragmatic when they go house hunting. “The ‘ideal home’ should provide the convenience without the compromises, be affordable and have great resale value. 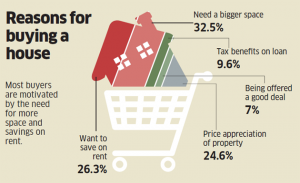 Since that is an elusive dream, homebuyers should focus on one or two items on their wish-list,” advises Puri. For instance, if you are a first time homebuyer, you can consider choosing a conveniently located starter home, which meets your requirement without burning through all your savings. 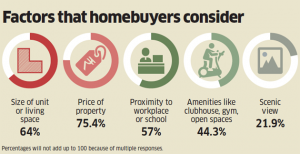 “Homebuyers should buy what they can reasonably afford, in a project and location which will meet their needs for at least five to six years,” Puri adds. You can always trade up later when you can afford a better home. But given the state of the market, it would be unwise for homebuyers to have the investor attitude of selling the property and upgrading as quickly as possible. 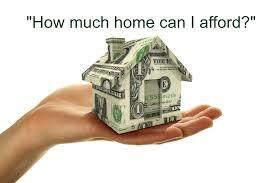 It is important to find a good middle-ground between utility and affordability.